A domestic view won’t explain the disconnect between employment and prices. Central bank sleuths are on the case. What explains the “mystery,” to use Janet Yellen’s word, behind low inflation and strong employment? It’s a question that requires global detective work, a point amplified by the Federal Reserve minutes this week when someone (who may have been Yellen) remarked on the global nature of the challenge. Inflation and wages remain stubbornly low despite a global upswing. What gives? 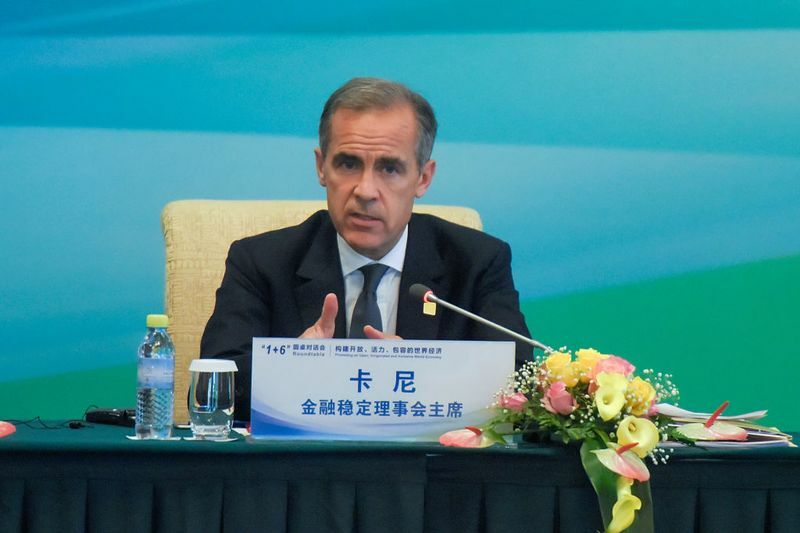 Discussing this with a senior Asian official this month, I was referred to a speech by Mark Carney a few weeks ago. The Bank of England governor was on to something in a somewhat overlooked Sept. 18 speech probing the links between globalization and domestic prices. The main takeaway: Domestic economic conditions and the ability of domestic labor to extract wage increases have shrunk in importance. What matters isn’t what the person living next door to you can command for his labor; it’s what the person across the ocean can get. The rise of global supply chains, the pool of international labor, and borrowers and lenders operating in a host of currencies — all of those factors impact inflation. The tension here is that central banks have mandates given to them by domestic governments and legislatures. They in turn answer to voters mostly uninterested or ill-informed about developments overseas and how they shape the economic life of a given nation. The role of imported goods in keeping down prices at, say, Wal-Mart Stores Inc., is pretty well understood. Thank goodness for services, where trade is less liberalized. Were it not for the higher cost of services, inflation in the most developed economies would be even more microscopic. Carney reckons goods prices in the UK fell an average 0.3 percent over the past two decades; services rose by an average 3.4 percent. Then there are the supply chains and the role of various components coming from an array of countries with different labor and pricing terrains. This, too, chips away at the primacy of domestic conditions in determining inflation. The doubling of the effective global labor pool represents a huge, positive supply shock for the global economy. It has encouraged the shift of the production of goods and services that use lower-skilled labor intensively to countries with an abundance of lower-skilled workers – predominantly emerging market economies – while production of goods and services requiring more highly skilled labor has concentrated in countries with a greater share of higher skilled labor – predominantly advanced economies. The growing ability to split production components and tasks through global value chains has amplified this effect. Globalization has also increased the contestability of labor markets, weakening the extent to which slack in domestic labor markets influences domestic inflationary pressures. That is, the increased ease with which activities can be off-shored or domestic vacancies filled by sourcing workers from abroad may have reduced the relative bargaining power and wage expectations of workers. While it is difficult to measure precisely, available evidence suggests that contestability effects could be significant. Greater openness appears to have reduced the sensitivity of wages to domestic labor market conditions. Something that tends to be overlooked: Skilled workers tend to save more money than other workers. And those savings are managed by funds and banks with global reach and global portfolios. And as the world population ages, the amount of retirement savings swells, rolling around the world, looking for return and keeping market interest rates low. This means that interest rates and financial conditions in any given country may say more about global capital flows than they do about local conditions. All this brings us to the question that dare not speak its name: Do we need a global monetary policy rather than a collection of national ones? Carney doesn’t go there. That’s a fight he doesn’t need right now, given the mess created by the British electorate’s decision to thumb its nose at the world. But it’s a worthwhile subject for a future column. One big challenge would be getting national politicians to openly say that their central bank needs to think about the world, not just their electoral districts. That is an extremely tough sell. Bravo to Carney for his contribution to solving the mystery. Same to Claudio Borio, who made provocative remarks on the same a few days later. If we don’t ask the right questions, we surely won’t get the explanation for — let alone the solution to — the case of the missing inflation.